East Atlanta-based folk act Dwayne Shivers, led by Americana singer-songwriter and ATL Collective co-founder Micah Dalton, will release their new EP Blest on Oct. 12, and you can hear their latest single right here at Paste today. The soulful “Particular Times” is a song for just that—Dalton calls it “a pseudo-autobiographical song about living in times where we are technically more connected than we’ve ever been but, in ways, more lonely than we’ve ever been.” Over shuffling drums, light acoustic guitar and warped horns, Dalton bemoans, “Oh, these particular times / Everybody’s a ghost and nobody wants to rhyme.” It’s a song to soundtrack our collective struggles in the search for meaning, as well as a bracing reminder that getting lost is just a part of journeying. 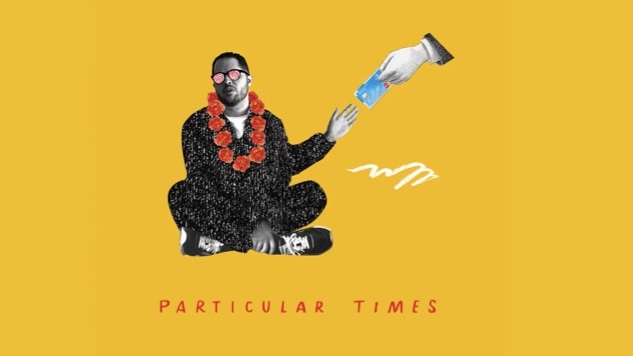 Listen to “Particular Times” below and find Dwayne Shivers’ tour slate further down.